Big Fat Bribe Blog: 'chocolate' is The C Word, right? Guess which term, primarily used to describe a certain aspect of the female anatomy, cropped up in one of our bribes this week? Go on, take a punt. The word itself is pretty blunt, and many take it as a personal affront. Bet you're not having to hunt too hard for the answer, are you? 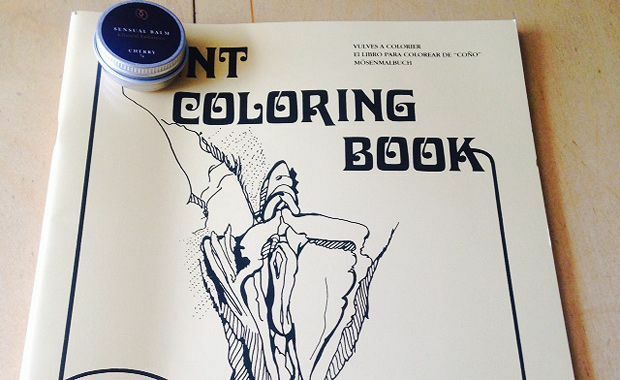 There we were, minding our own business, when a jiffy bag arrived, containing nothing other than a 'C*nt Colouring Book', with a little tin of 'cherry-scented sensual balm' to go along with it. Being British, we did the only thing we thought right in the situation: we made a cup of tea, sniffed the balm to see if it really did smell like cherries, and began hunting for crayons. This delightfully sordid gift came from 'Lord Byron', but since he died in 1824, we strongly suspect that it actually came from Proteus Theatre, who have a show about him called More C*nt Than Cant at this year's Fringe. The play stars Paul Huntley-Thomas, and is based on the 'scandalous life and fast times' of the notorious poet. 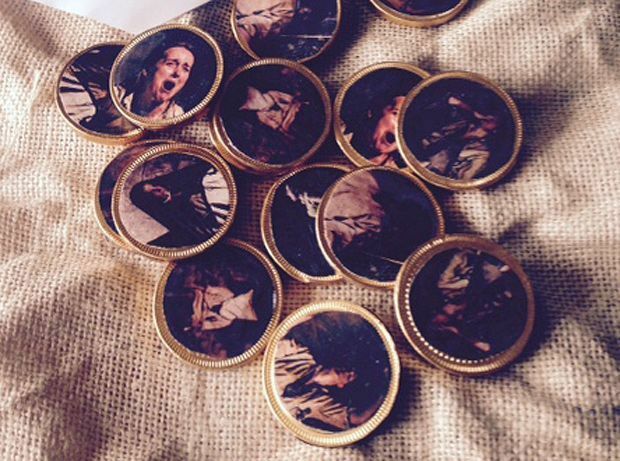 On the infinitely more wholesome side of things, the very same theatre company also sent us some chocolate coins. This time, it was to promote their other Fringe play, 12.10.15, which explores 'the life and death of a British martyr'. Signed from 'Edith Cavell', the accompanying note said they were 'in honour of my commemorative coin'. A quick Google search told us that Edith Cavell was a nurse in WWI, and she's having a special £5 piece made up in her honour this year. Every day's a school day. Stuck to the coins were some pictures of people looking a bit distressed, and a look into the plot synopsis tells us why: it's all about a 21st century war correspondent being held in the Middle East, who finds some parallels between herself as Ms Cavell. It contains strong language and adult themes, as does the Lord Byron piece (as if we needed to tell you that).